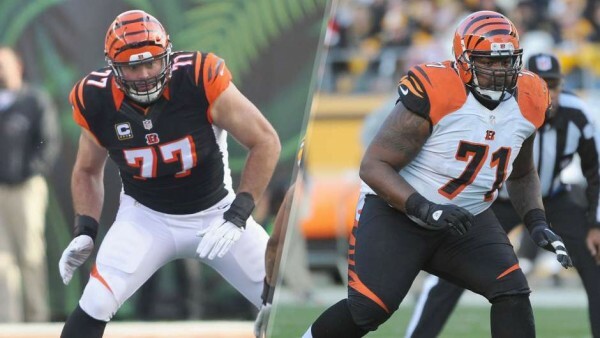 The Cincinnati Bengals might be preparing for making a drastic change in their offensive line and specifically in both tackle positions, as rookies Cedric Ogbuehi and Jake Fisher could be taking over for veterans Andrew Whitworth and Andre Smith. Whitworth, playing on the left side and can also be a guard (played that positions for two years in his career) has missed only eight games in his nine year career and missed only two starts since 2009, but he is going to turn 34 during the final month of this season, which means the Bengals are pondering making a change, even if his form has been solid and consistent. Smith, the starting right tackle over the last four years, missed eight games including the playoffs last season due to a triceps tear, and he’s another player the Bengals are monitoring to see if it’s time to make a change. But will the rookies be able to step up? Not right away, although a change might come in the middle of the season. Ogbuehi, the first round pick out of Texas A&M, tore his ACL in January and should be ready to play around midseason. Fisher, a second round pick considered to be something of a steal out of Oregon, has said a number of times he doesn’t plan on being a bench player for long. A quick development for Fisher and a swift return to form for Ogbuehi might mean some starts later on in the season, obviously depending on how well Whitworth and Smith are playing.